CLICK HERE TO COMPLETE AND SUBMIT THE FOBG BOARD APPLICATION FORM. Thank you! Celebrating 50 years of Brookside Gardens! 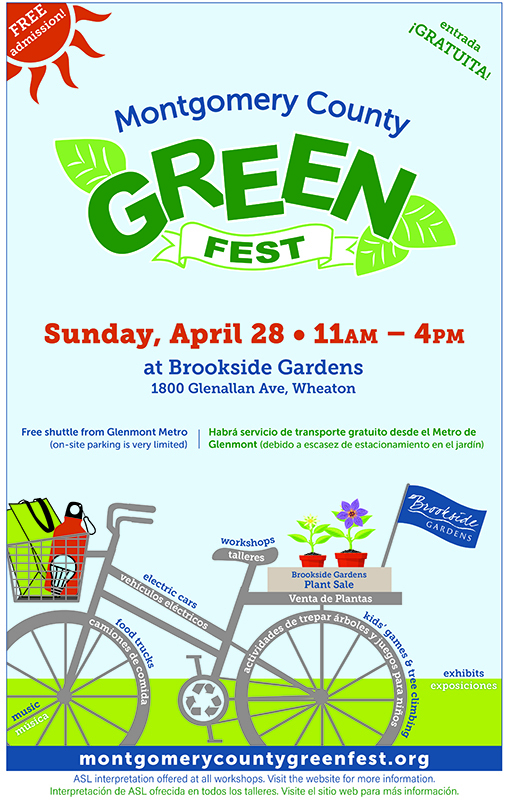 Spring Serenades - Sunday, May 19, 2019 - 11AM - 1.00PM Montgomery County GreenFest - Sunday, Apr. 28, 11AM - 4PM. "SPRING SERENADES” - A Rose Garden Party at Brookside! When in doubt about the plant(s) you bought in 2018 the answer is just a click away here! Participate in the Bloomin’ Buck$ with Brent and Becky’s Bulbs program. Place your order through Bloomin' Bucks and 25% of all sales is donated to FOBG. Thank you for your support! Friends of Brookside Gardens (FOBG) was established to support the mission of the Brookside Gardens. This includes maintaining of programs to reveal the year-round wonders and beauty of nature and also educating the public on how the proper care of plants can preserve the environment. This year marks the 23rd year for FOBG!! Thank you FOBG members for your generosity, loyalty and support! To ensure the funding for a sustainable future for Brookside Gardens. Leave a lasting legacy by enhancing and sustaining this Maryland treasure! Brookside Gardens is Montgomery County's incomparable, award-winning 50-acre public display garden situated within Wheaton Regional Park. Included in the gardens are several distinct areas and Formal Gardens areas. Brookside Gardens also feature two conservatories for year-round enjoyment. A horticultural reference library is located in the airy Visitors Center. Admission to the gardens is free. Brookside Gardens will be celebrating its Golden Anniversary (50 years) in 2019. Brookside Gardens' Cultivate program guide for Spring/Summer 2019 is now available! Register for spring and summer programs, reserve spaces and renew memberships offered by both Montgomery Parks and Montgomery County Recreation at one common site. Visit www.ActiveMontgomery.org today to set up an account and register for programs.